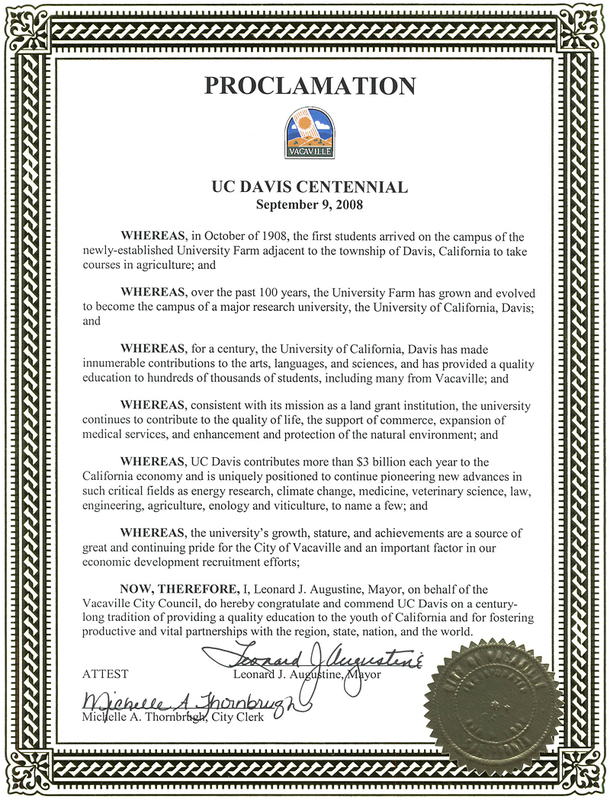 UC Davis Centennial: Who’s celebrating? 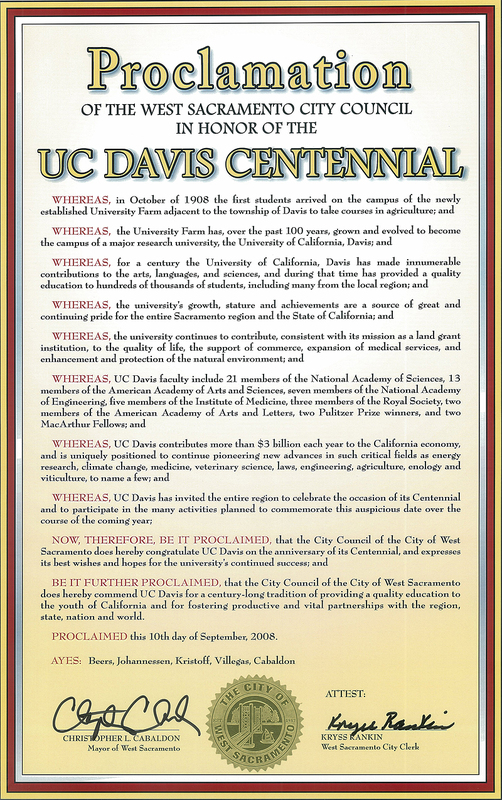 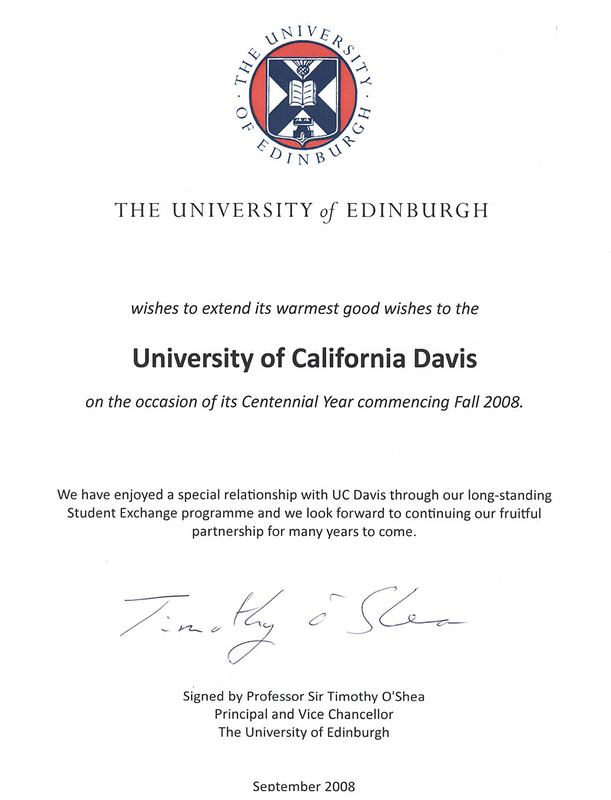 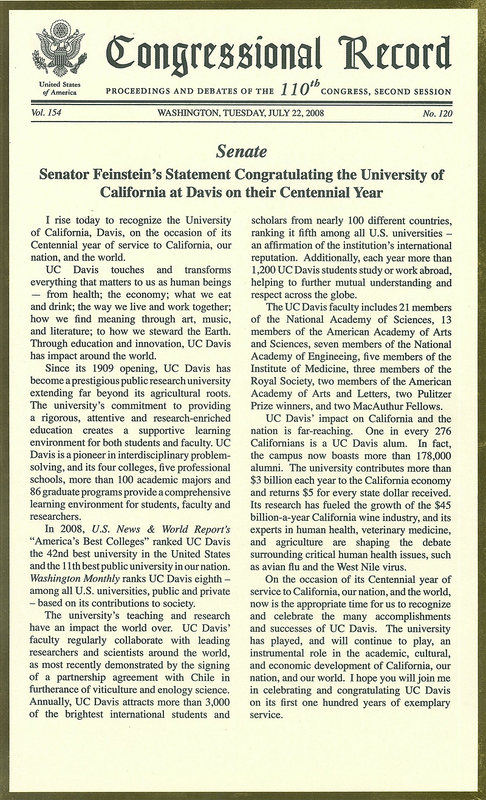 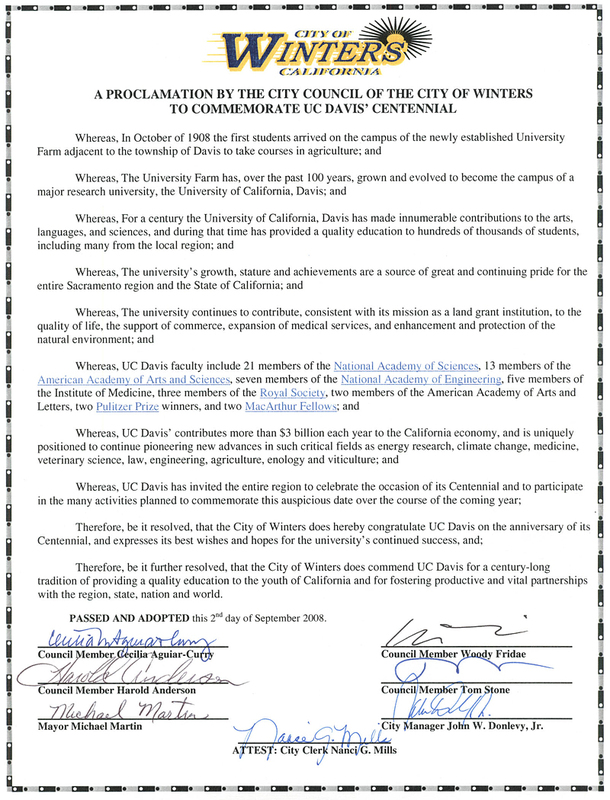 UC Davis Centennial > Who’s celebrating? 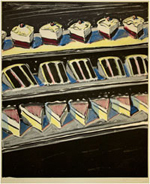 Repro Graphics is marking the UC Davis Centennial by promoting a number of campus-based posters, such as UC Davis art professor Wayne Thiebaud’s Pies and Cakes. 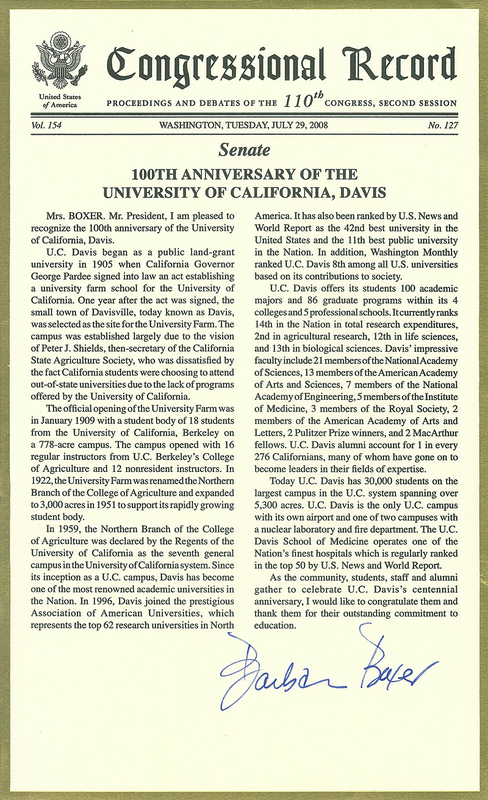 See how across the campus the UC Davis Centennial is being celebrated. 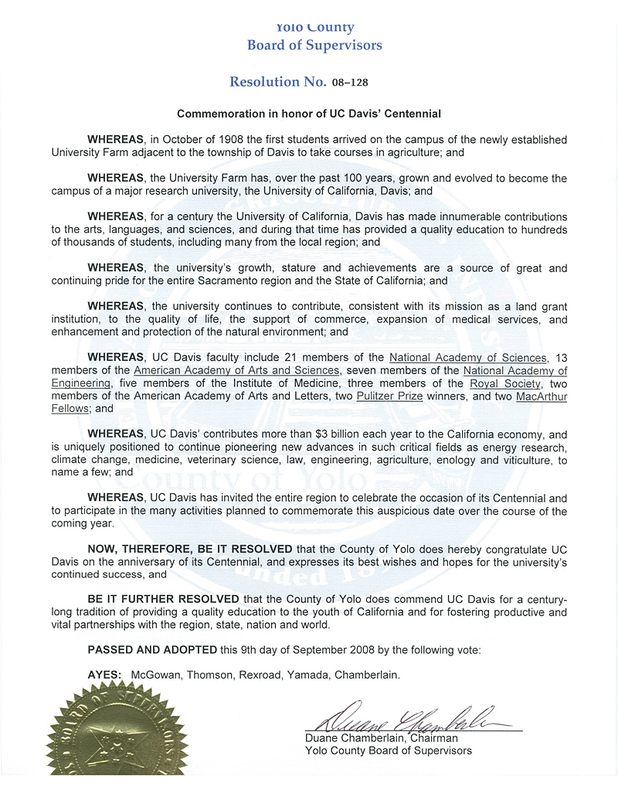 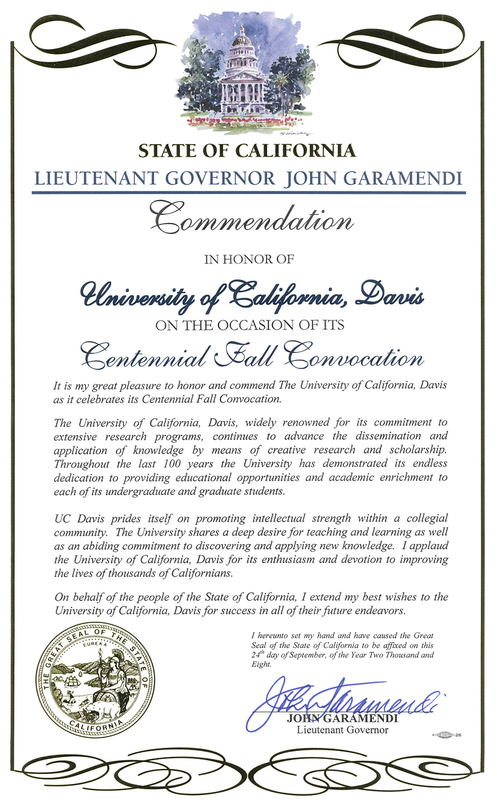 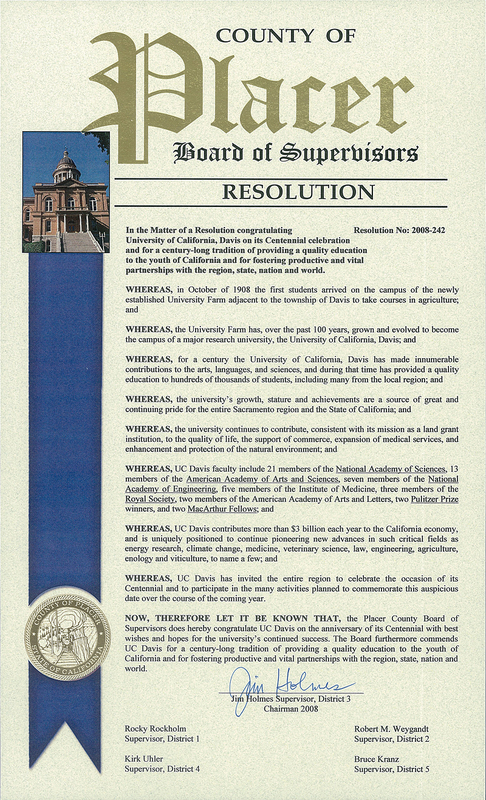 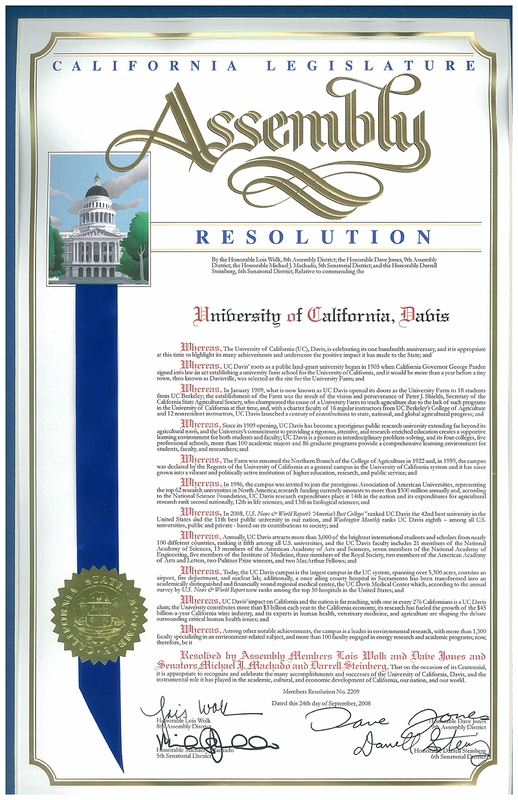 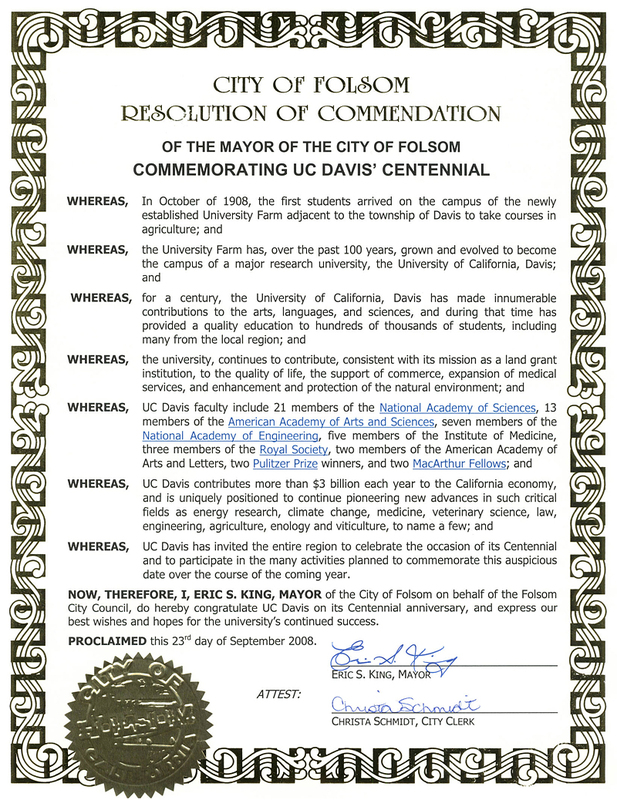 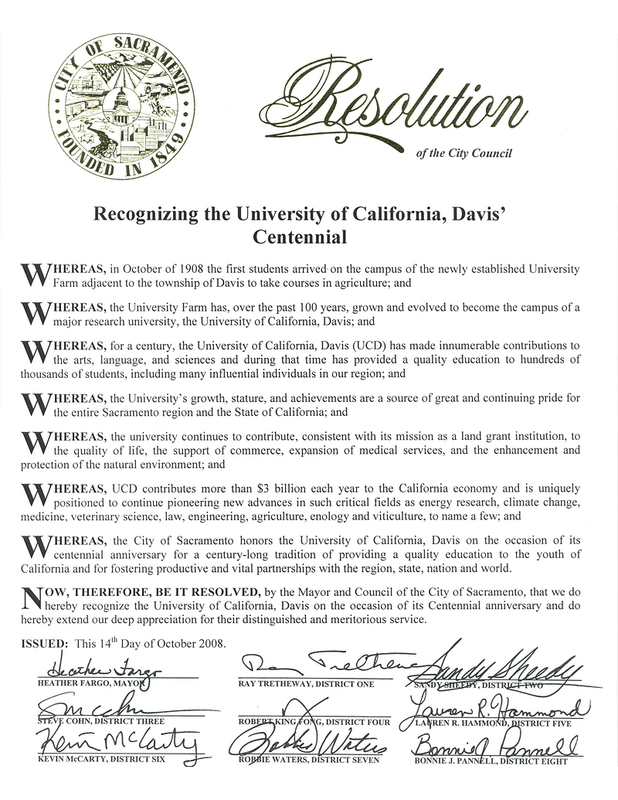 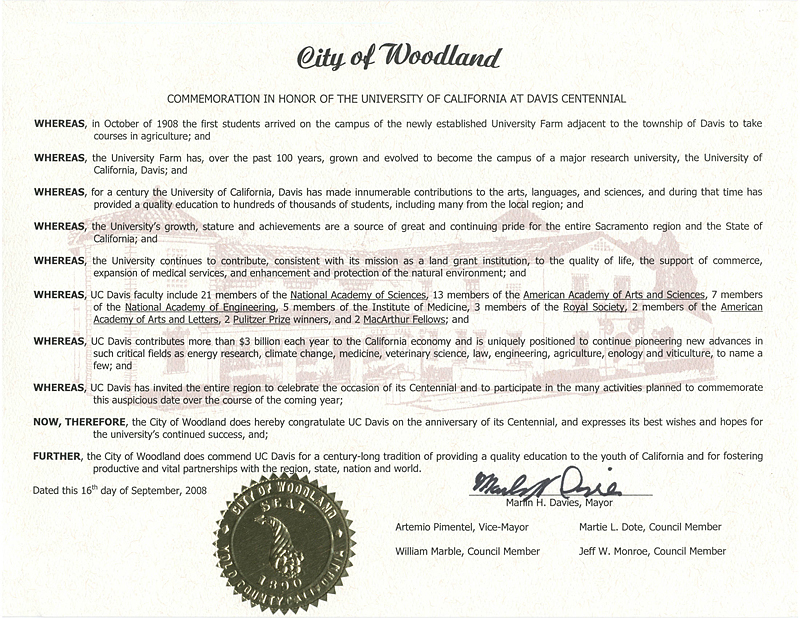 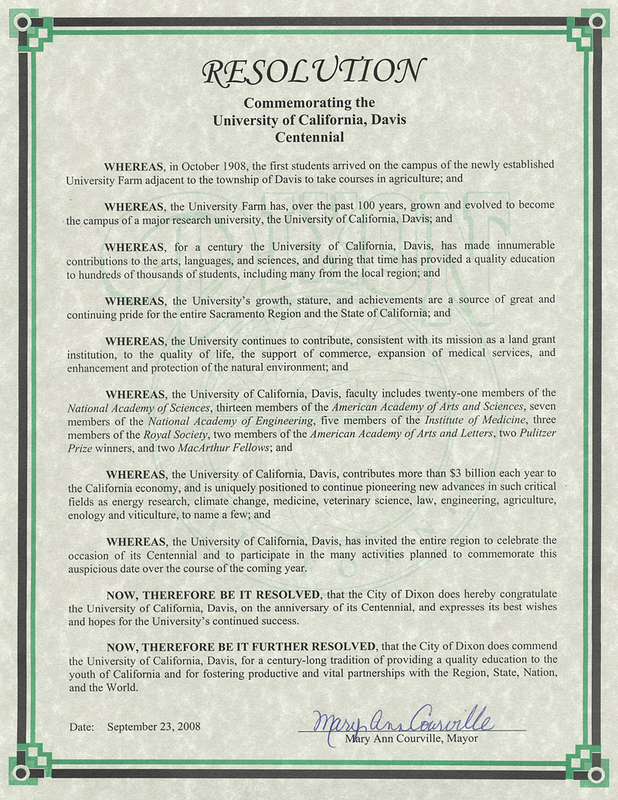 Elected officials and local jurisdictions are honoring UC Davis with resolutions, proclamations and Congressional Record inserts. 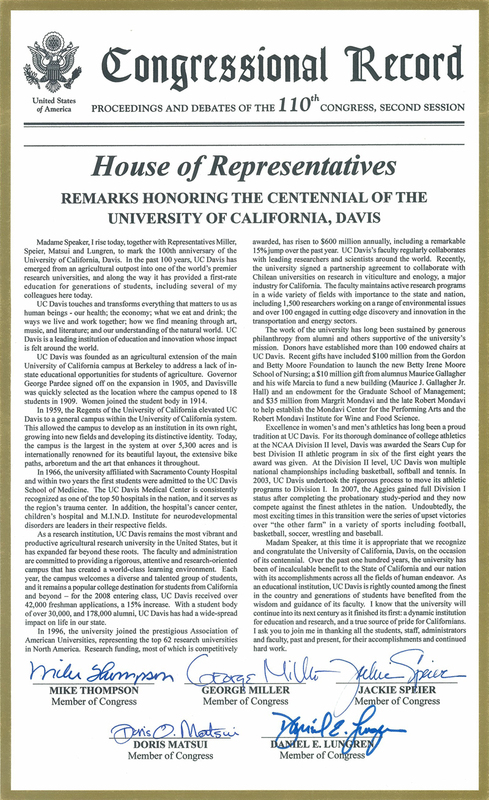 After all, you only have a centennial … how often? 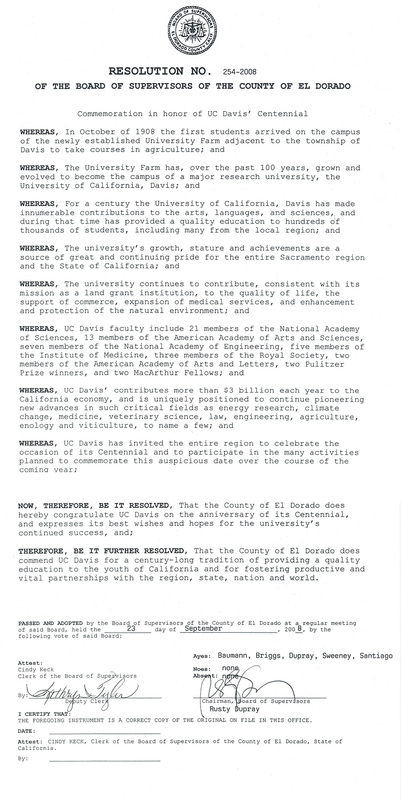 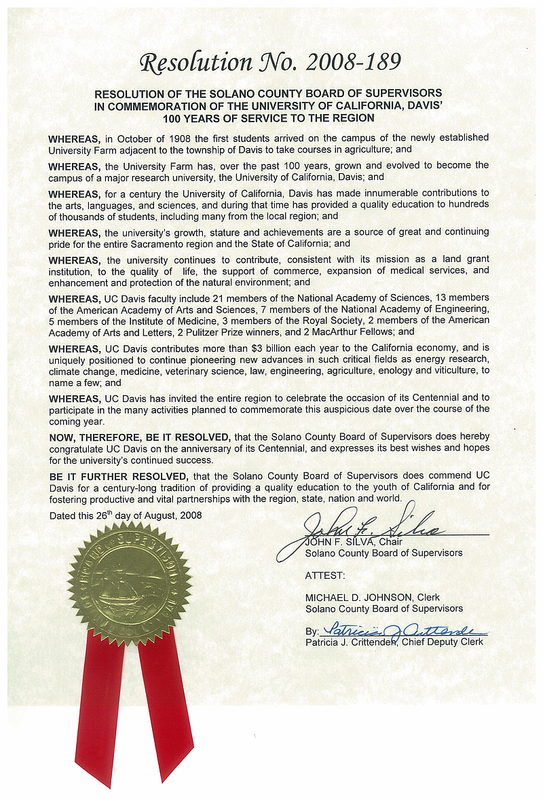 UC Davis’ $3 billion contribution each year to the California economy.